Please do read if you are a Business owner, Manager, Executive Leader or Entrepreneur. Do you have quality relationships and happiness? What can I do to reduce my fear of failing? What should I do next in my career within the organisation? How can I become better at decision making? I also offer singular sessions, that are proving popular, where you can speak to me about whatever you like without fear or concern about being judged or criticised, to release pressure in a controlled space designed for that purpose and for you to gain perspective and clarity. Allowing you to return to work re energised having downloaded your issues with me instead of your colleagues. Coaching can be successful only if coachees are able to discuss every aspect of an issue or challenge with their coach. The coach may need to listen to personal problems or private information that must be kept confidential. Is present in almost everything I help clients with, it’s an integral part of what I do in coaching. 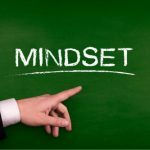 I specialise in my clients mindsets, this is the very thing that sets some business entrepreneurs apart from each other…do you have a ‘Fixed’ or ‘Growth’ mindset I wonder? 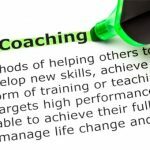 It’s worth mentioning that Coaches in the workplace are not always counsellors/ psychotherapists – although they may use some of the same skills and tools, I have the psychological training and experience in place being a qualified Counsellor/Psychotherapist to recognise when and if therapy is a good suggestion, a unique advantage I believe being able to provide this deeper level of care should the need arise, so you are in very safe hands. Can you improve communication skills? Communication skills are paramount in business. How do you negotiate a good deal, improve relations with colleagues and impress seniors if you can’t communicate effectively? Good communication skills don’t come naturally to all of us by any means. Shyness, awkwardness, low self-confidence and feelings of inferiority can hold people back in business, no matter how intelligent, experienced or qualified they are. How is your mental and emotional state? Do you approach life negatively or positively? Do you wake up dreading the day or are you able to have a spring in your step and feel ready for what’s ahead? Often, the way we feel about the events or changes that are happening can affect the way we cope. In order to promote personal growth, a coach will ask you to place emphasis on your thoughts and meanings of things. For example, if you wish for success, you will need to ask yourself what that success means to you. What makes you successful? How do you know when you have reached ‘success’? We spend more time at work than we do at home or with loved ones. For many of us, work dominates our social life and if you are not enjoying your job, it can lead to many problems. Stress at work, feeling undervalued or feeling like you are not reaching your full potential can have a negative impact on the other aspects of life if not dealt with. Not maintaining a balanced routine can affect relationships, productivity, happiness and well-being. Considering personal development coaching can help you to recognise the problems and build your personal goals. A coach will be able to guide you in your journey of personal growth and help you face the workplace issues you are experiencing. Would you like to read about a case study? I received an email from Steve a Managing director of a local business asking if I could pop in to chat about this issue he had with his business partner. I offered him some of my time and we did agree that he might benefit from a package of 6 coaching sessions. Unusually in this instance we agreed to work therapeutically first to sort out deep seated issues that then allowed Steve to move onto his future planning with coaching support. This helped Steve to get a better perspective and a deeper understanding on his current predicament working together on finding a solution, and supporting him in implementing an action plan to set clearer parameters for himself, his partner and his staff. I used my usual blend of therapeutic experience and coaching to get him there..by the end Steve was ever so grateful and settled back into his business with a renewed view minus the anxiety he had.